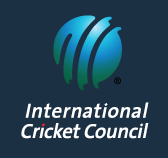 Left arm medium pace bowler and lower order batsman with very good potential for the future. 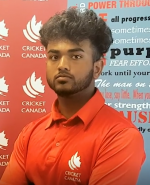 Top order batsman who has played in two U-19 World Cup’s for Canada. 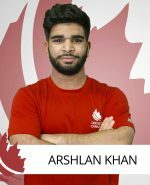 He is the Captain of current U-19 Team. 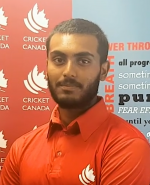 Akash Gill is a Left-Hand batsman and is the current Vice-Captain of the team. 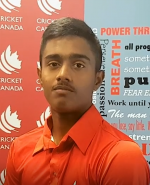 Rommel Shahzad is a right-arm off-spinner who is handy with bat also. 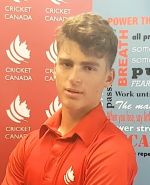 Pieter Pretorius is an right-arm off-spinner playing for Canada. 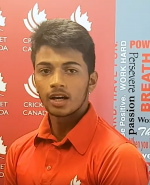 Pranav Sharma is a right-hand batsman and wicket-keeper playing for Canada. 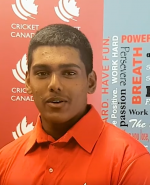 Kavian Naress is a batting all-rounder who bowls right-rm leg-break. 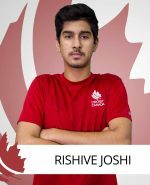 He is an integral part of the U19 set-up. 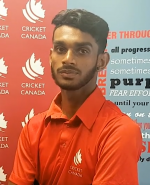 Krishen Samuel is a wicket-keeper batsman playing for Canada. 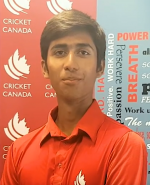 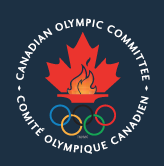 Aran Pathmanathan is a Left-arm spinner playing for Canada. 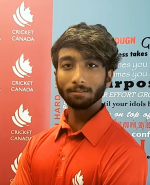 Ashton Deosammy is a right-hand batsman and right-arm off-spinner. 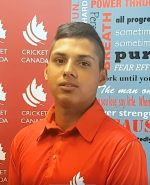 Faisal Jamkhandi is a Right-arm Fast bowler who is now for his sharp swing of the ball both ways.